I, along with many of you I'd imagine, will be spending a good amount of today in fellowship with believers - at church. I'm sure it will be full of joy and worship and praise and learning. But not all fellowship is like that. 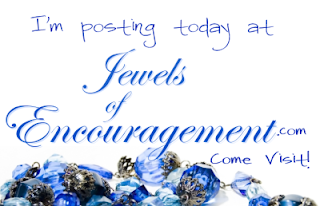 Would love it if you'd stop by Jewels of Encouragement, where I talk about a different kind of fellowship - the Fellowship of Sharing in Sufferings. It can also be sweet. Hope to see you there!